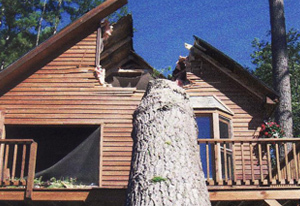 Adirondack Tree Surgeons’ staff of skilled tree care specialists guarantee your satisfaction with any of our tree removal, tree care, tree pruning or stump grinding services. 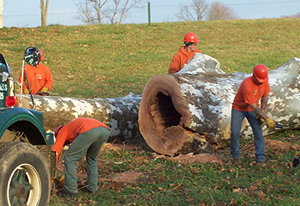 Adirondack Tree Surgeons proudly provides tree services to both residential and commercial clients in Upstate NY and the Adirondacks. Some of the areas we service include Saratoga, Warren, and Washington counties as well as the greater Capital District and surrounding areas including Clifton Park, Ballston Spa, Malta, Wilton and more. To learn more about the areas we service, give us a call today or visit our Service Area page for more information. If you are interested in learning more about our commercial services, including lot clearing and stump grinding, please visit our commercial services page for more information. Throughout our 30 year history, we have worked with commercial clients such as the NYS Department of Transportation and NYS Thruway, in addition to many local municipalities in the Capital Region area of Saratoga Springs, Clifton Park, Glens Falls, Malta and more.